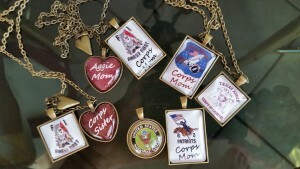 Howdy Fort Worth/Tarrant County Aggie Moms! We are mothers of Texas A&M students both past and present who meet monthly during the school year and host events for charitable and educational purposes. Our Fort Worth/Tarrant County Aggie Moms Club was the second club ever established when the Aggie mothers groups began in 1922. Don’t we look good for 96?! We support our Aggie Students in many ways and have a lot of fun in the process so come join us! Introducing our Newest Boutique Item! Create your own frame to highlight your Aggie Memories. You can personalize this frame for your special Aggie photo! 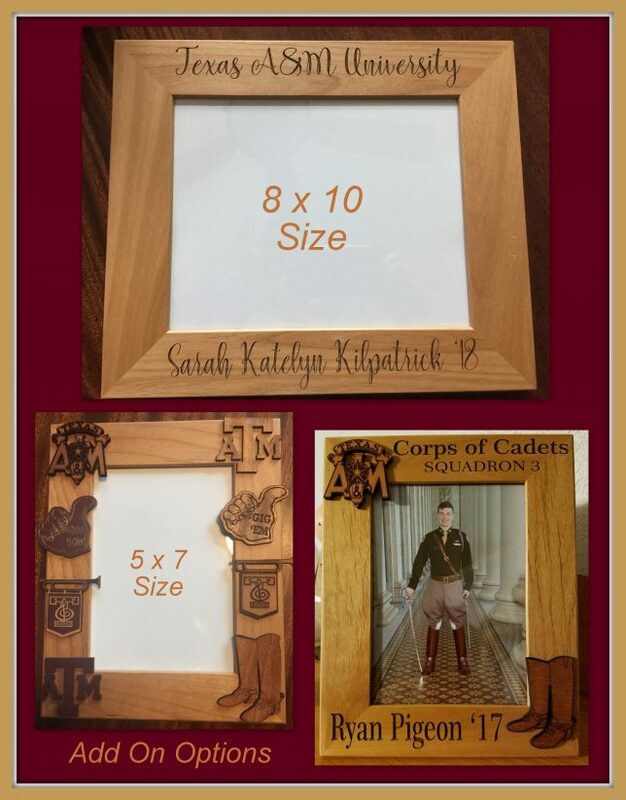 Print and complete the order form below and request any decorative add-on’s from the samples shown below. It’s only $25 to join our club and the money supports our operations fund which ultimately supports our local scholarship efforts. 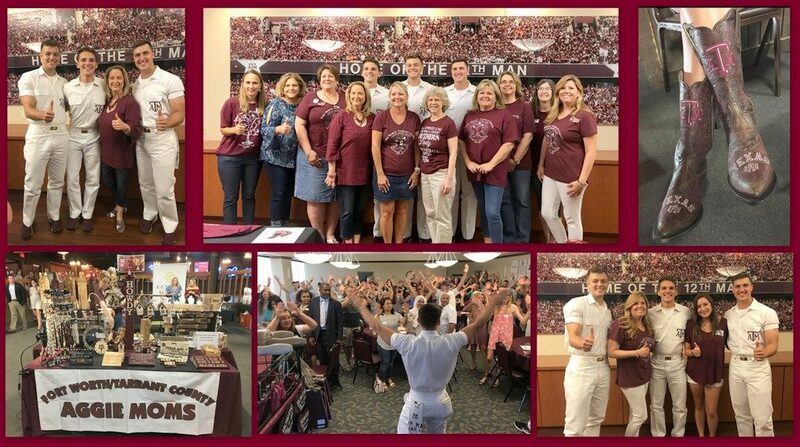 As a member you can attend our monthly meetings as a supportive network with other Aggie Moms and gain valuable insight for providing comfort and welfare to our local Aggie Students that will offer a better college experience during their time at A&M. You can also receive special Aggie Mom discount offers. So please join us if you have not already! DON’T HAVE AN AGGIE MOMS CLUB NEARBY? JOIN US! You do NOT have to be from Tarrant County to join. You don’t even have to be from Texas! 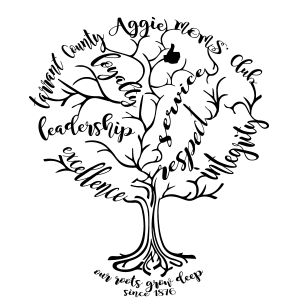 We have members from nearby counties whose work or schedule makes it easier to attend our meetings, though we encourage you to first check out your nearest Aggie Moms Club. We also have a few out-of-state moms who participate long distance. Click here to find clubs near you. 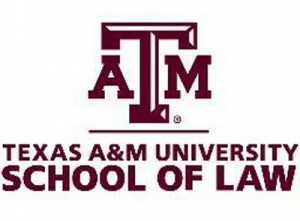 If you are a current or future Fort Worth/Tarrant County Aggie looking for college money, our scholarships are now being administered and distributed by Texas A&M University. This is good news because you do not have to go through an additional application process. Simply follow the instructions on the TAMU scholarship website and if you meet our eligibility requirements, you will be considered for the Fort Worth/Tarrant County Aggie Moms Scholarships and many others. Here’s the link on how to apply: https://scholarships.tamu.edu/ For information about our eligibility requirements, click here. BUT THAT’S NOT ALL: Back in 1994, the club established an endowment that provides an annual stipend to a deserving student for all four years of their college career. It’s called the Fort Worth/Tarrant County Aggie Moms Club Endowed Opportunity Award. The university administers the fund and selects the student receiving this award also. By the end of the 2015-2016 school year we had raised enough funds that–in addition to the scholarships granted–we made an initial $5,000 contribution toward the $25,000 required to endow a second opportunity award. The end of 2016-2017 school year–we were able to make another $5,000 contribution toward that second award. We will continue to push toward completing that second endowment. If you know someone who would like to help us, please have them contact us. Way to go, Aggie Moms!!! TIME TO RENEW YOUR KROGER LINK! If you buy your groceries at Kroger, they will give us a share of your purchases if you link your Plus Card to 26620. As part of its Community Rewards program, Kroger will give us a share of every dollar you spend at their store. If you have problems doing the linking, just visit the customer service counter at Krogers. Just tell them our NPO number is 26620. And you have to link it every year. YES, YOU CAN ORDER CHARMS! Gail Pigeon makes these wonderful charm necklaces that help raise money for our scholarship fund. They can be picked up at our general meetings or shipped directly to you. Click here to see charm collection and to order. 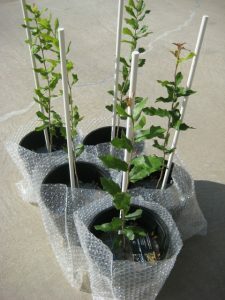 Andy Duffie, ’78, is growing and selling Century Tree seedlings as an A&M scholarship fundraiser. He has already funded a President’s Endowed Scholarship (2012), an Aggie Ring Scholarship (2015), and is now working on a Sul Ross Scholarship for the Corps of Cadets. For every referred customer sent by our club, he sends us $20. For us to get credit, during the online purchase a pop-up box will appear asking the customer “How did you learn of the Aggie Century Tree Project?” The customer simply enters FORT WORTH/TARRANT COUNTY AGGIE MOMS CLUB in that field – which is captured as part of the transaction.